GT86 / BRZ Turbo CH-legal! Just a few days before this year’s Auto-Zürich we can announce that our CRTEK3 GT86 Turbo and BRZ turbo are finally fully homologated and 100% street legal! 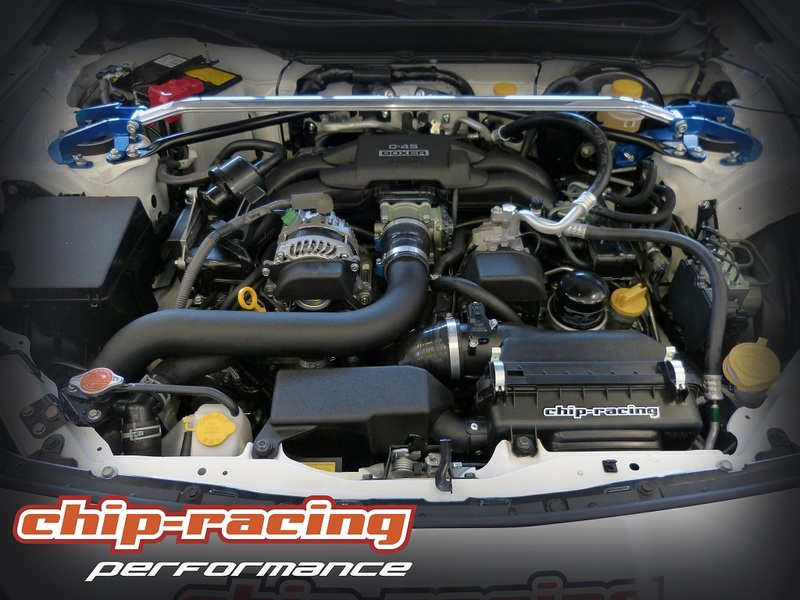 The CRTEK3 CR280 Turbo kit contains of a turbocharger, unequal length exhaust manifold, front mount intercooler, complete piping, a Tomei BOV and our CRTEK software! 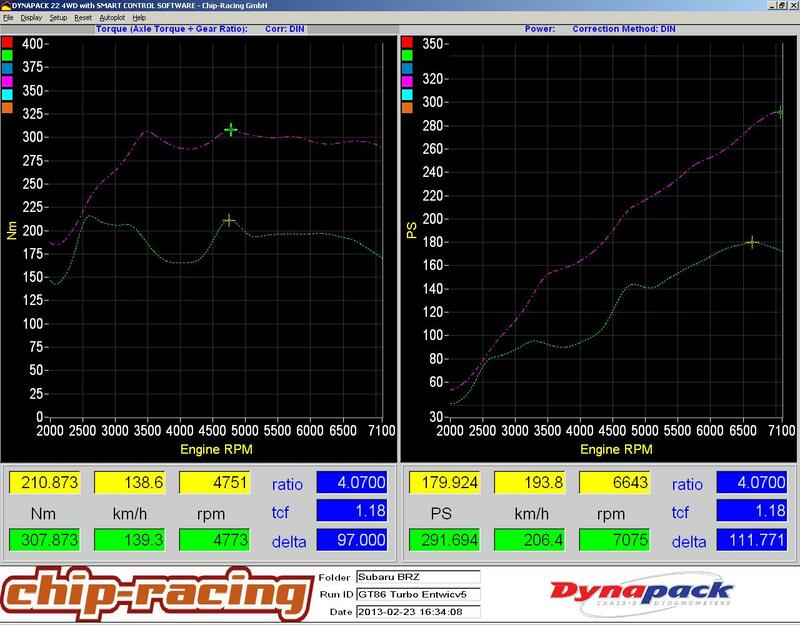 Thanks to the low boost level the power curve stays pretty linear and keeps the GT86 and BRZ’s N/A characteristics. The smooth power band matches the great chassis perfectly! 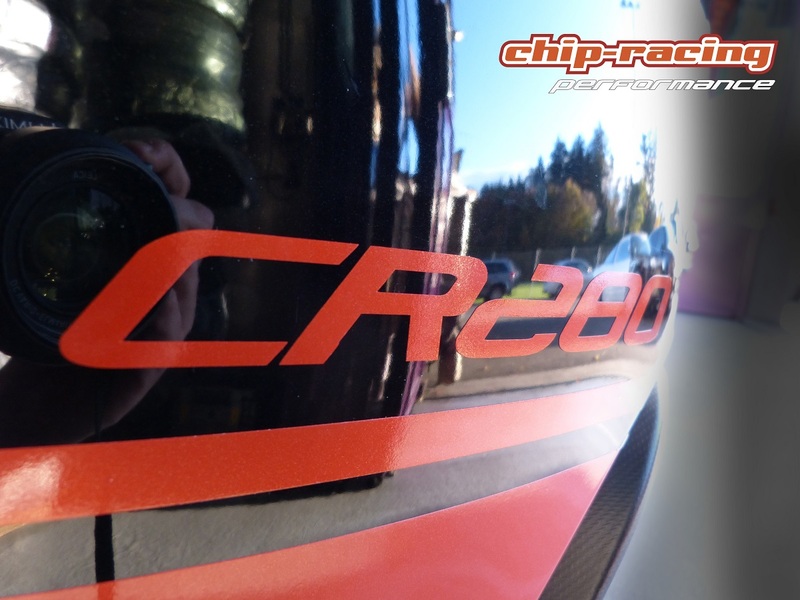 The Chip-Racing GT86 Turbo CR280 with full CH-homologation will be on display at Auto-Zurich 2013 this week. If you have any questions feel free to ask us at our booth B01 in Area 5! We’re looking forward to welcome you!